I shall never forget the first time I was impacted by this verse. 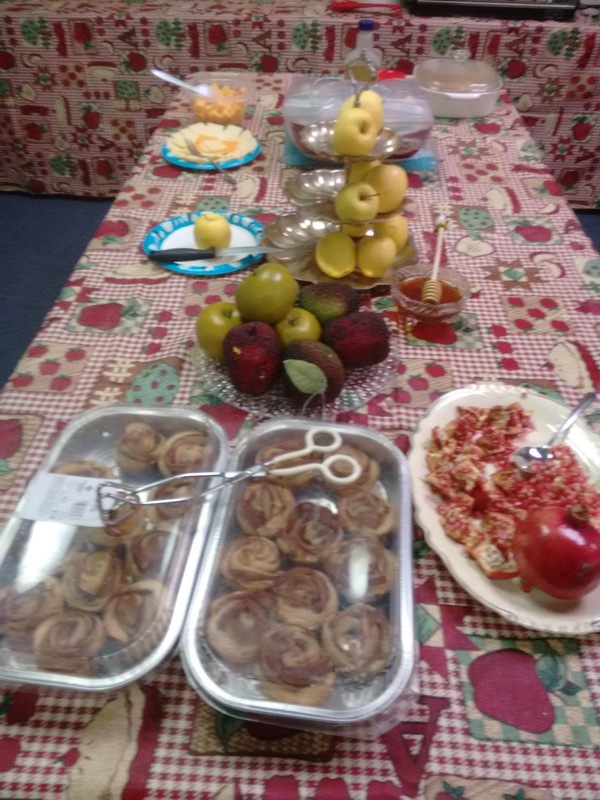 Growing up in a Baptist church, I was not taught about the Feasts and Festivals. I didn't know that observing them was a commandment. I didn't realize that Yeshua kept the Holy Days, either. During the late 1990's I began to attend a fellowship that was called a Jewish roots church. I attended a celebration of Sukkot in which this verse was acted out on stage. The scene showed Yeshua attending the celebration in Jerusalem and after the water-pouring ceremony, He stepped forward and said, "I am the Living Water!" I remember so vividly that moment. 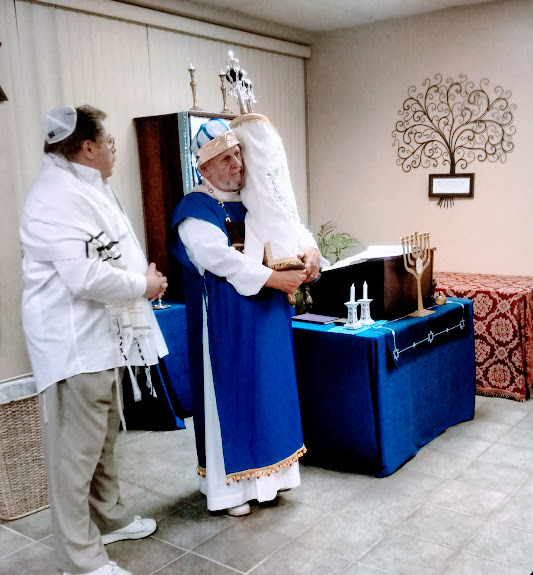 Through that dramatization of John 7:37, I was connected to the Jesus who lived as a Torah-observant Jew. I was overwhelmed with who He was. I'd been following Him most of my life, and yet had been disconnected from what He did, where He went, and everything about His Jewishness. That moment was a turning point in my life. I began to learn about my Jewish roots and seeking wisdom about what I, as a follower of Him, was to be doing. I felt a deep sadness that this truth had been purposely neglected in the churches I 'd attended. I felt like I'd been robbed. I began an in-depth study of the Torah, and then I re-read the Gospels of the New Testament. It was life-changing. 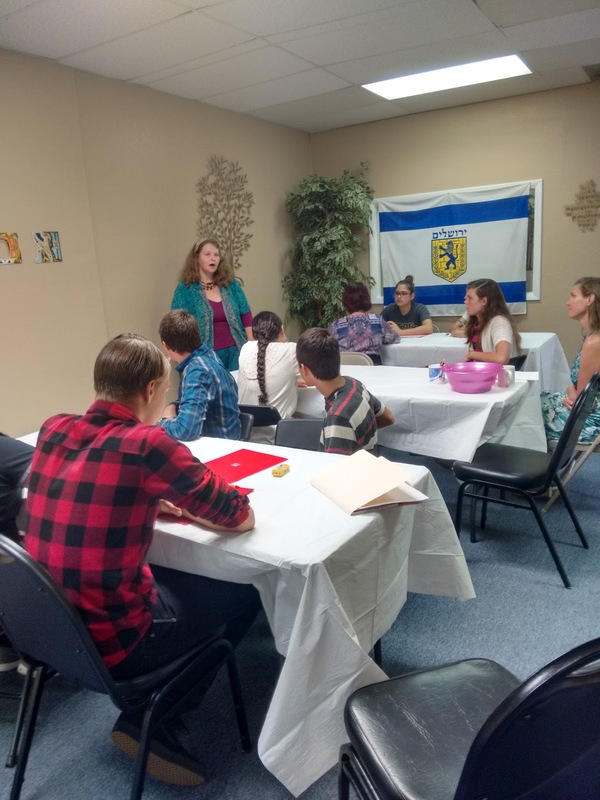 I kept seeking to know Adonai's will and ways and learning from local teachers. I was dissatisfied, however, because the local teachers did not really obey Hashem's commandments. They observed a philosophy quite foreign to true Judaism. One, in fact, did not even observe the Sabbath. I kept praying and seeking, and never dreamed G-d would bring me to my own personal rabbi. Rabbi Jem and I were married in 2006, approximately ten years after I began my journey to Judaism. 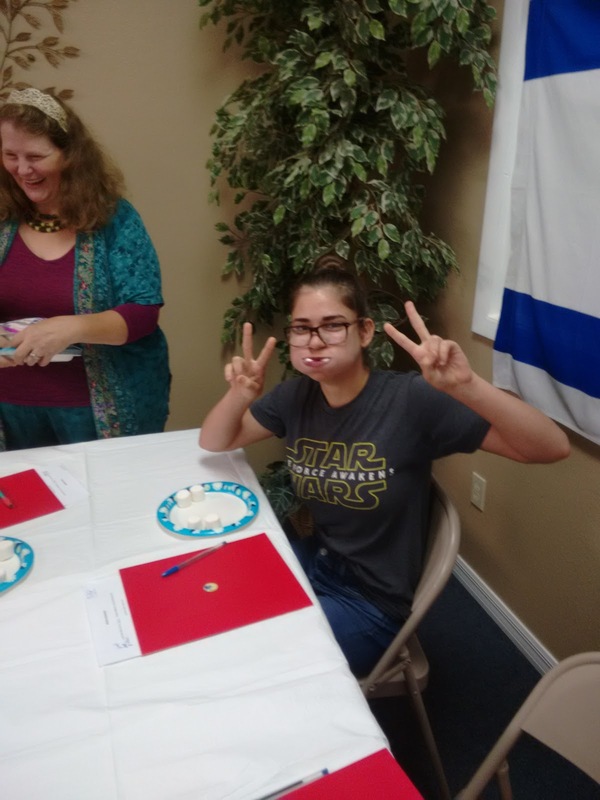 I love the Feasts and Festivals of Adonai, and I'm sad that I didn't learn about them early on. I encourage everyone to embrace the roots of the faith into which you've been grafted. Follow Yeshua, our Messiah, and be blessed through obedience. Here's a song we'll be singing this week - Sukkot Song - the Time of Our Rejoicing! 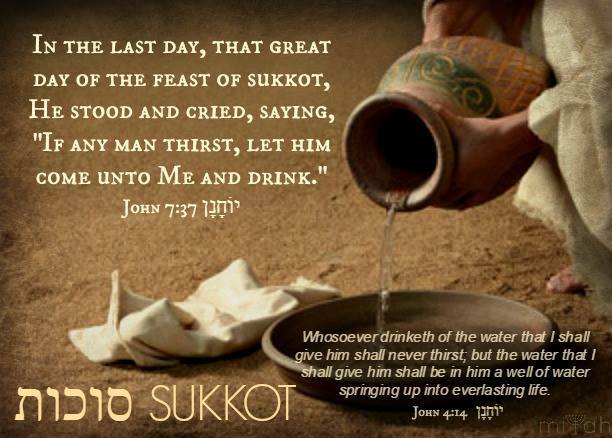 Yes, this is the time of our rejoicing - Sukkot - and did you know that this feast will be observed in Heaven forever? What a JOY-FULL thought! We'll be worshipping, singing, praying, waving the lulav, dancing, and enjoying good food, as always! Here's a dance video I hope you'll enjoy - Your Name by Zemer Levav - and I hope you dance! **To see our sukkah, click on this LINK. 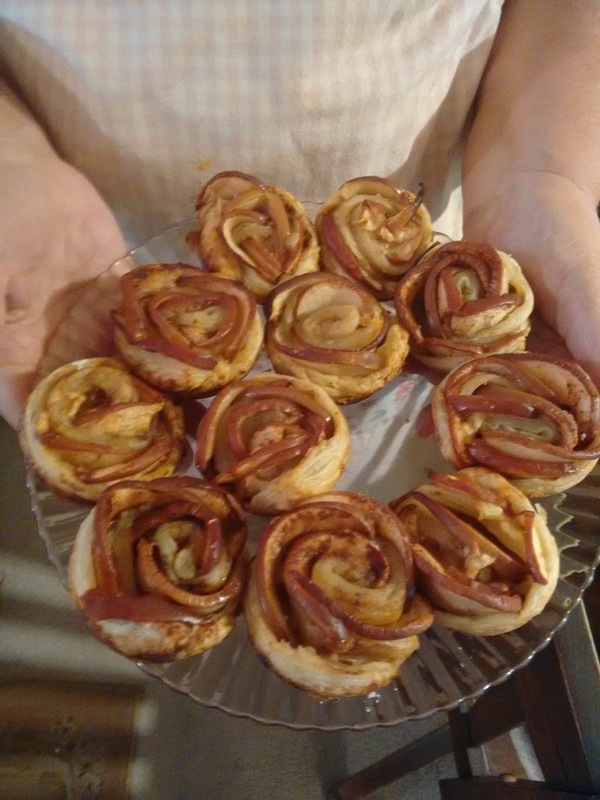 As promised, I'm sharing my Apple Rose recipe that I made for Rosh Hashanah. I saw this recipe on a video on Facebook and thought they were so pretty. I think they turned out really well . . . but they were labor intensive to make. The video made it look so easy, but it was not. The first step was to cook the apples with some lemon juice and water. Then they had to be drained and cooled. The puff pastry needed to stay in the refrigerator until time to fill it, which is a very important point that I found out later. The counter was sprinkled with flour before I placed the pastry. 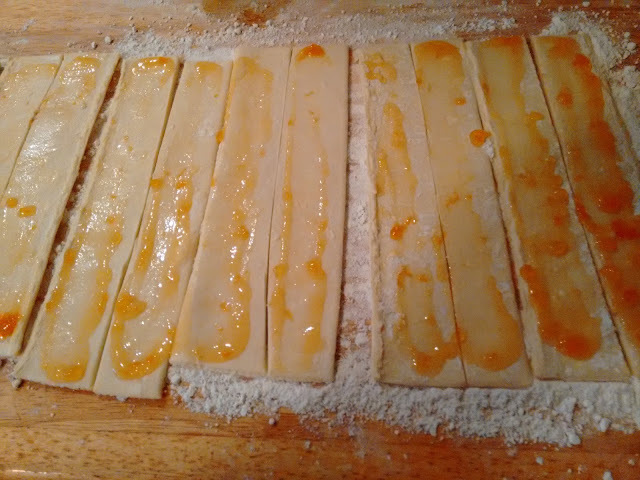 The next step was to put some apricot preserves down the middle of the pastry strip and sprinkle them with cinnamon. 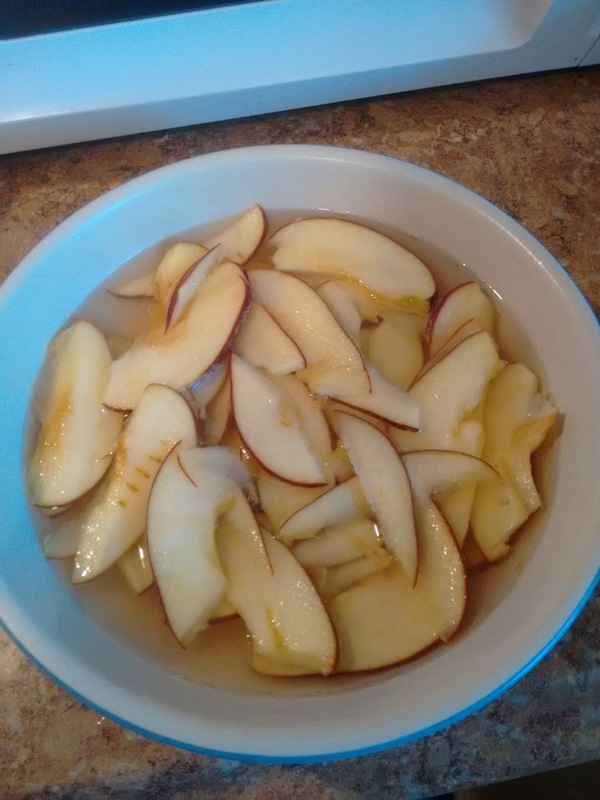 Then I placed the apples, overlapping them slightly. 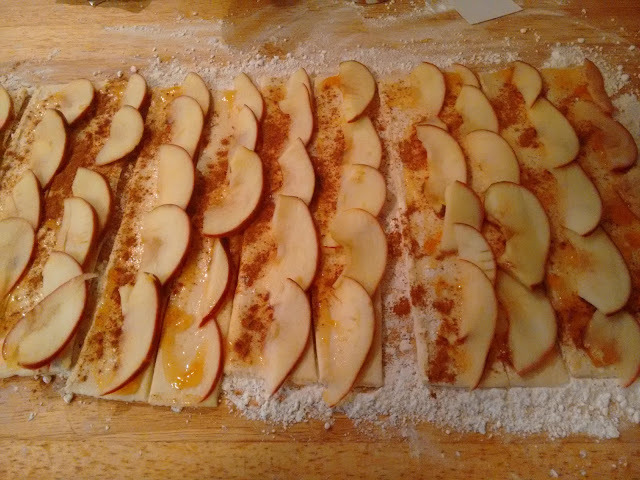 The next step was to pull the pastry up over the apple slice half-way, being careful that the red skin showed above the edge. Then, beginning at the end of the strip I rolled it up, to make the rose shape. It was a bit difficult but got easier as I worked with it. 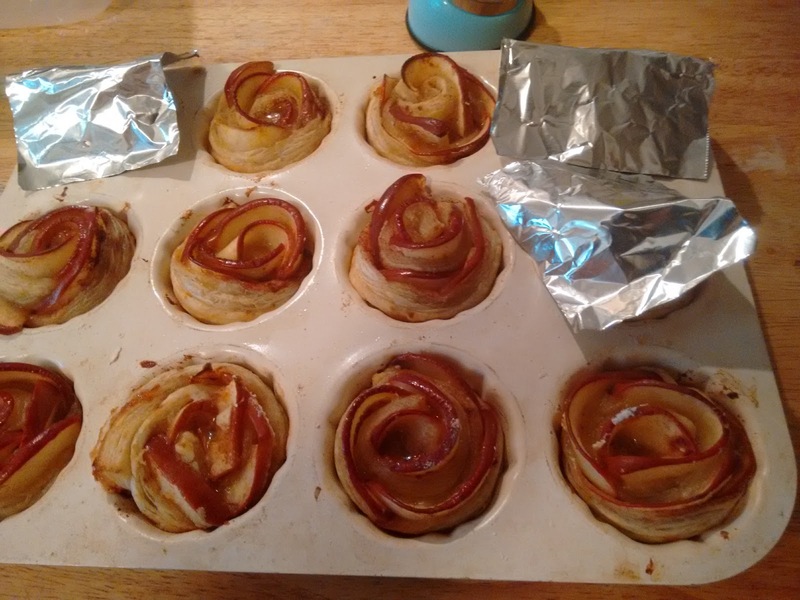 After I made them, and while they were in the oven, I had to make little tin-foil tents for each rose so they wouldn't burn. 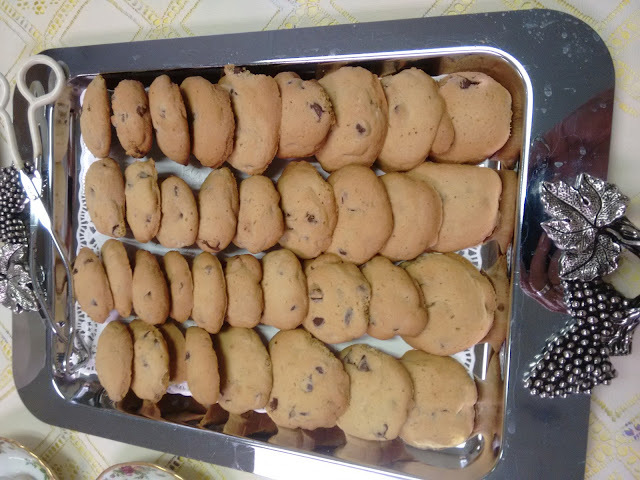 These were added half-way through the baking time. I made two batches (twenty-four total), and since I had the hang of it, the process went much faster with the second dozen. I started these roses at about 11 a.m., and by the time I finished, it was 3 pm. I'm sure it will go faster the next time I make them. These are not sweet at all since the only sugar is in the preserves. I had honey in a dish next to the platter so that they could be drizzled with more sweetness if wanted. I think it was a perfect dish for Rosh Hashanah, and everybody liked them. Jem and I had a couple of leftovers for breakfast the next morning, and I warmed them in the microwave. So good with a cup of coffee. Gail-Friends, I wish you could come over to Golden Cottage and share one with me because I'm really thankful for those who read my blog each week. 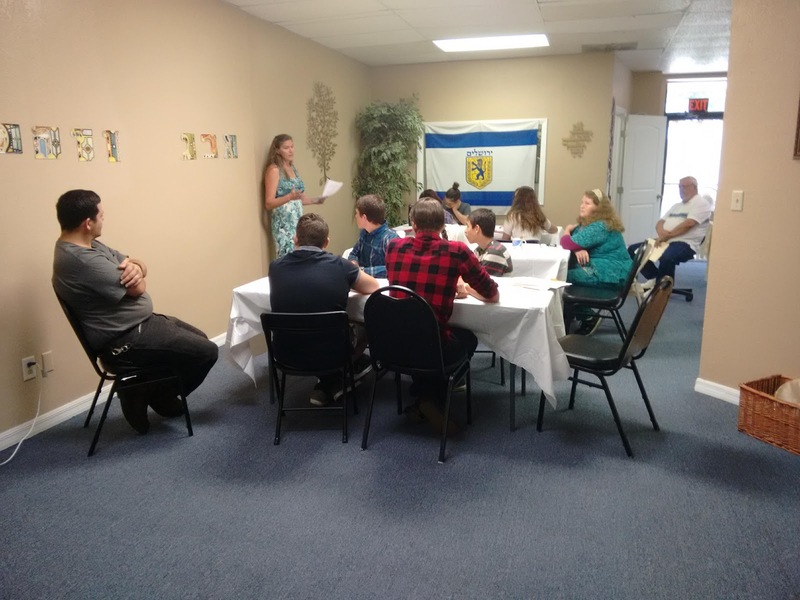 I'm busy with preparations for Sukkot as I write this post, and am looking forward to that celebration. We're combining a family birthday party with building the sukkah and that should be lots of fun. We're also having our synagogue celebration with Erev Shabbat this Friday night. I'll tell you all about it next week. I hope your roses turn out as good as mine. Shabbat Shalom, Y'all and I pray you are prepared and ready to rest, refresh, renew and enjoy time with our loving Heavenly Father. I treasure my Sabbath time and look forward to it every week. Many of you have heard this verse, probably all of your life if you're like me, and grew up in a Baptist Church. I always reverently bowed my head and searched my heart for sins. Not until I became a Messianic believer did I truly understand the full meaning of the verse. If you study the chapters prior to this verse, you'll see that the people had turned away from Torah, from His laws, His Sabbath, His Feasts and Festivals, and had embraced false gods. Hashem was telling them the only way to be forgiven and to heal their land was to begin to follow Him again. This has not changed for those of us reading the Bible today. He expects us to turn away from false gods, including teachers who tell us it's no longer necessary to obey his laws or observe His Sabbath and Feasts and Festivals. That is what He means when He says, "Turn from your wicked ways." I was humbled when I first understood this, and I pray you will be, too, if you're only understanding this for the first time. Hashem forgives our sins through Yeshua's blood, and that's the only way of forgiveness. But He also expects us to follow and obey His Torah. This is the message Yeshua and the disciples taught. If you believe Yeshua is God in the flesh, and that He is the same yesterday, today and forever, then my beloved Gail-Friends, He would not disobey the Torah. He would follow it - and He did. If you say you are following Yeshua and you sit under someone who teaches you to disobey His Sabbath, you are not following Him. If you are following a religion that teaches you to disobey His laws, you are following a false religion and a false gospel. I pray you will prayerfully consider these things. Read the Torah (the first five books of the Old Testament) first and foremost. I think of this as Bible 101 - the basis of all Scripture. Next, read the four gospels of the New Testament - Matthew, Mark, Luke, and John. Notice where Yeshua went, what He read, what He did, what He said, which Sabbath He observed, and that He observed the Feasts and Festivals. This is the real, and the only, Messiah. Follow Him, not the false religions being promoted today. You will be blessed and find life. And then came the ten days of awe. . . a time of introspection and soul-searching leading up to Yom Kippur, the Day of Atonement. During this time, we spend time with Hashem and His Word, asking Him to reveal any sins and we attempt to mend any broken relationships. This year was a tender, somber time, more so than years past. The last song was the Kol Nidre, and while it played people went to each other and made things right. It was an amazing evening together. I love the High Holy Days because we take the time to be still and listen to Hashem more so than the other Holidays. How blessed we are to observe and celebrate these set-apart days, His Feasts and Festivals. They are gifts and reminders to us of His presence and goodness in our lives. As a believer, I observed Christmas and Easter. Now, as a Messianic Jew, I love being blessed with a holiday every couple of months in the year: Rosh Hashanah, Yom Kippur, Sukkot (the Fall Feasts), then we have Hanukkah, and on to Purim, Passover and Shavuot (the Spring Feasts). All of these draw us closer to Hashem and are types of our Messiah, Yeshua. 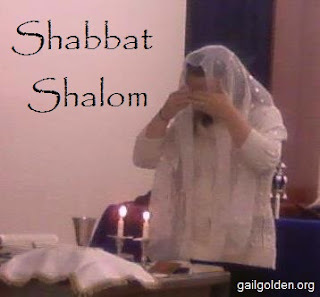 And lest we forget, we have our weekly feast -- Shabbat, our blessed day of rest. Hashem is so good to us. Here's a photo of the apple roses I made for Rosh Hashanah. I think they turned out very nicely. I will share the recipe (and the adventure) next week**. I just don't have time right now, since today is Preparation Day, plus Sukkot begins on Monday at sundown. Lots to do, dear Gail-Friends!!! Shalom and love to you all from me - and from one of the sweet little ones in our congregation. 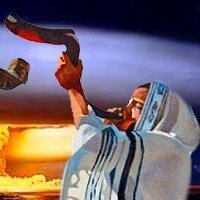 Whenever the children of Israel moved forward, Moses cried out: “RISE UP, LORD, AND LET THINE ENEMIES BE SCATTERED; AND LET THEM THAT HATE THEE FLEE BEFORE THEE” (Numbers 10:35). I believe that we can pray the same prayers David prayed for they are written in the inspired Word of God. We fight against the rulers of the darkness of this world, not the people, but the spirits behind them. 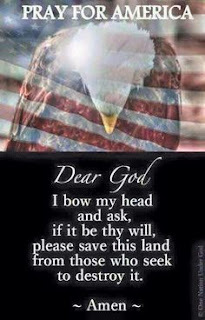 We can use these prayers to pray against the enemies of our president, Donald Trump. Never has there been a president who has faced such hatred and lies against him. It is inspired by the enemy who hates righteousness and fears the pro-life, pro-godly, pro-protecting our land, pro-constitutionally good things he is doing for our country. Take a number of these prayers each day. When you come to the end, begin again! 1. Deliver and preserve him from evil and violent men who plan evil things and stir up wars continually (Psalm 70:1, 2 and 140:1). 2. Deliver him from deceitful and unjust men (Psalm 43:1). 3. Save him from those who persecute him, and deliver him (Psalm 7:1). 4. Cause his persecutors to stumble, and not prevail (Jeremiah 20:11). 6. Cause their evil plans to boomerang back on them. “But I know that all their evil plans will boomerang back onto them. Every plot they hatch will simply seal their own doom” (Psalm 94:22 TPT). 7. Seal their doom with every plot they hatch. Give them what they deserve (Psalm 94:22 TPT). 8. Fight against them that fight against him (Psalm 35:1). 9. Take hold of shield and buckler and stand up for his help (Psalm 35:2). 10. Draw out the spear and STOP THE WAY against the enemies that persecute him (Psalm 35:3, 6). 11. Let all his enemies be CONFOUNDED and consumed (Psalm 35:4; 40:14; 70:2; 71:13; 83:17; and 129:5). 12. Let his enemies and those who seek after his soul be PUT TO SHAME (Psalm 6:10; 35:4, 26; 40;14; 70:2; and 83:16, 17). 13. Let them be GREATLY ASHAMED for they shall not prosper (Jeremiah 20:11). 14. Let his enemies who devise hurt against him be brought to CONFUSION (Psalm 35:4, 26; 70:2; and Jeremiah 20:11). 15. Let his enemies be like chaff before the wind (Psalm 35:5). Let them be “like whirling dust, like chaff before the wind” (Psalm 85:13). Let them be like the grass that withers before it grows up (Psalm 129:7, 8). 16. Let the angel of the Lord CHASE HIS ENEMIES (Palm 35:5). 17. Let the angel of the Lord PERSECUTE HIS ENEMIES (Psalm 35:6). 18. Let the way of his enemies be dark and slippery (Psalm 35:6 and 73:18). 19. Let destruction come upon his enemies unawares (Psalm 35:8). 20. Let his enemies be covered with reproach and dishonor (Psalm 35:26 and 71:13). 21. Let his enemies be driven backward (turned back) that wish him evil (Psalm 40:14; 56:9; 70:2, 3; and 129:5). 22. Let his enemies be desolate (Psalm 40:15). 23. Cut off all flattering lips, and the tongue that boasts, Who have said, With our tongue will we prevail, our lips are our own: who is lord over us? Let not an evil speaker be established in the land (Psalm 12:3, 4; 59:7, 8, 12; and 140:11). 24. May his enemies FALL INTO THE PIT THEY ARE DIGGING FOR HIM (Psalm 35:7; 9:15; 7:15, 16; 57:6; 55:23; and Jeremiah 18:19-23). 25. May his enemies FALL INTO THE SAME NET THEY ARE PREPARING TO CATCH HIM (Psalm 31:4; 35:8; 57:6; 69:22; and 141:10). 26. Be with Donald Trump as a MIGHTY TERRIBLE ONE (Jeremiah 20:11). 27. Pursue his enemies with Your tempest and terrify them with Your hurricane as fire consumes the forest and the flames set the mountains blaze (Psalm 11:6 and 83:14, 15 CSV). 28. Let his enemies be troubled (dismayed) forever. May they be humiliated and continually terrified (Psalm 83:17). 30. Let the wickedness of the wicked come to an end, but establish the just (Psalm 7:9). 31. Cast forth lightning and scatter his enemies (Psalm 18:14-17 and 69:24). 32. Shoot out thine arrows and destroy his enemies. Send forth thy hand from above. Deliver him from the great waters and the falsehoods (the fake news) (Psalm 144:7, 11). 33. Let his enemies fall by their own counsels (Psalm 5:10). 34. Oh let the wickedness of the wicked come to an end. Let their mischief return upon their own heads ((Psalm 7:9, 16). 35. Let his enemies be caught in the schemes that they have devised for him (Psalm 10:2 ESV). 36. Deliver him from his enemies, O my God: defend him from them that rise up against him. Deliver him from the workers of iniquity, and save him from bloody men . . . awake to help him (Psalm 18:48 and 59:1-5). 37. Let his head be lifted up above his enemies that are around about him (Psalm 27:6). 38. Let not his enemies triumph over him (Psalm 25:2). 39. Keep him as the apple of the eye, hide him under the shadow of thy wings, from his deadly enemies, who compass him about (Psalm 17:9, 10). 40. Scatter his enemies (Psalm 68:1 and 92:9). 41. Cause his enemies to stumble and fall (Psalm 27:2). 42. Save him from being delivered into the will of his enemies (Psalm 41:2). 43. Find out his enemies and expose them. Let all lies, deception, and plans against him be exposed (Psalm 21:8). 44. May others more righteous take the office of his enemies (Psalm 109:8). 45. Keep him, O LORD, from the hands of the wicked; preserve him from the violent men who have purposed to overthrow his goings (Psalm 140:4). 46. Hide him in the secret of Thy presence from the pride of man. Keep him secretly in a pavilion from the strife of tongues (Psalm 31:20; 27:5; and 32:7). 47 “Deliver him out of the mire, and let him not sink: let him be delivered from them that hate him, and out of the deep waters (Psalm 69:14). 48. Arise, O LORD, and disappoint his enemies and cast them down (Psalm 17:13). 49. Let his enemies perish in disgrace that they may know the name of the LORD is the most high over all the earth (Psalm 83:16). 50. Fill their faces with shame that they may seek thy name (Psalm 83:16). I love the last two Scriptures. We pray these prayers against Trump’s enemies (the fake media and the traitors in the FBI etc.) that they will come to know that God is the true God, the Most High over all the earth, and that He cannot be trifled with. We pray that the dealings of God against them will cause them to seek Him. We also must pray for safety for Donald Trump and his family and that God will keep him humble, seeking God’s wisdom, become a praying man, and be filled with the Holy Spirit. The Scriptures where David calls down wrath upon his enemies are called Imprecatory Psalms. The imprecatory psalms are as follows (some of these prayers are full of more fiery judgements than those listed above): Imprecatory Psalms: 5, 7, 10, 17, 35, 55, 58, 59, 69, 70, 79, 83, 109, 129, 137, 139, and 140. (Psalm 37:12-15; 52:4-6; and 94:1-7). This article was written by Nancy Campbell and is used with her permission. I encourage you to visit her website Above Rubies and on Facebook. She is a great encourager for wives, mothers, grandmothers, and patriots. Shabbat Shalom and Shanah Tovah to you, Gail-Friends. I'm giving you holiday greetings early because the High Holy Days begin at sundown on Sunday, September 9. 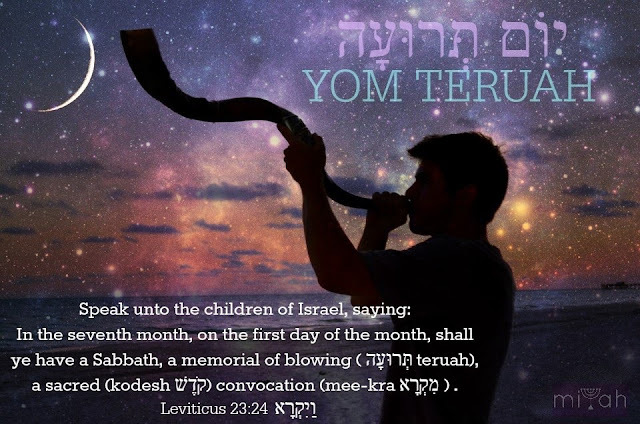 What a blessing -- the Sabbath, followed by Rosh Hashanah, the Feast of Trumpets -- a double blessing! 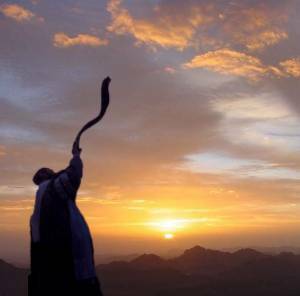 Rosh Hashanah is the first holy day, which begins this Sunday. This begins the ten days of awe leading up to Yom Kippur. During those ten days, we seek Adonai's face to see if any sins have crept into our lives. Sad to say, it happens, so this is a needed discipline in all of our lives. If you are not familiar with the High Holy Days, you can learn all about Rosh Hashanah, Yom Kippur, and Sukkot at this LINK. You'll find my past posts related to these holidays. Because this is a holy time of introspection, I will not post again until after Yom Kippur. I will be back on Thursday, September 20. 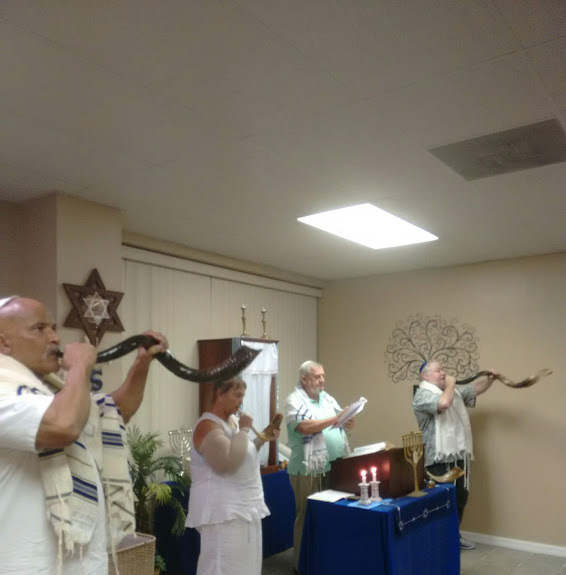 At that time, I will post about our Rosh Hashanah celebration, and also about our Yom Kippur service. I will pray for you, dear Gail-Friends, while I am away, and please pray for me. Until then, I say L'Shanah Tovah B'Yeshua (Happy New Year in Yeshua). And may the year 5779 be a sweet one for you. 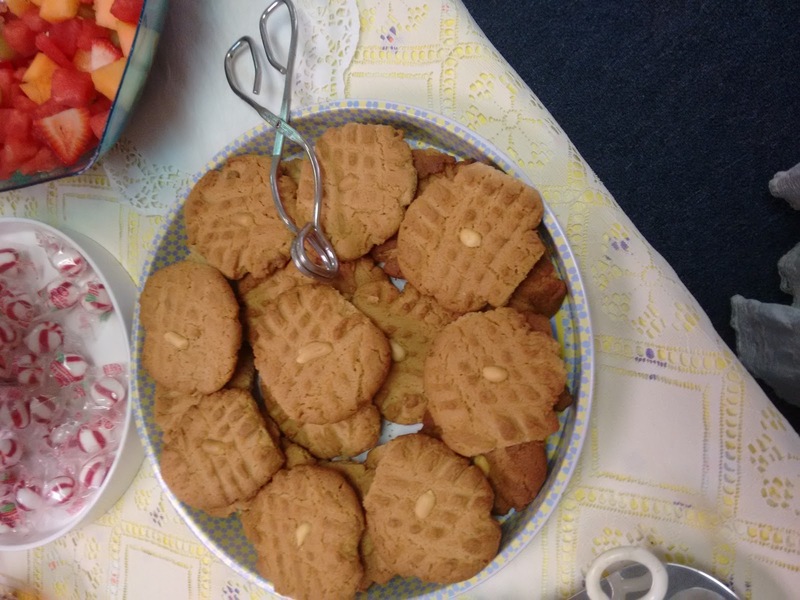 Have you ever been to a Golden Rule party? 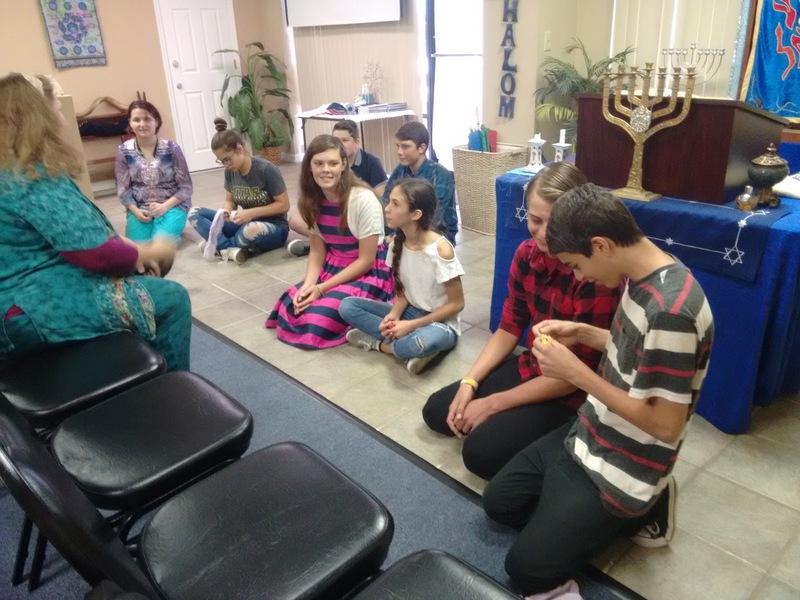 We held one at our synagogue on Sunday afternoon. 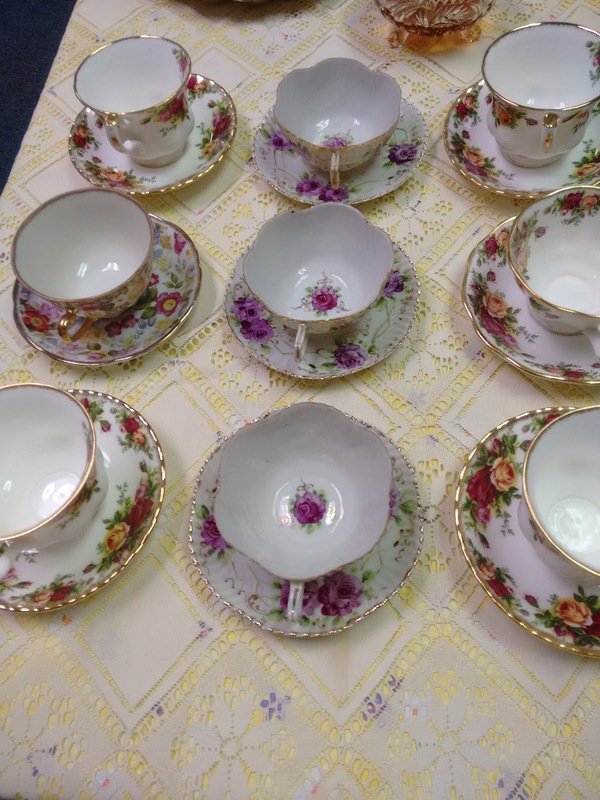 My teacups were delighted to attend, along with my crystal punch bowl, and silver trays. 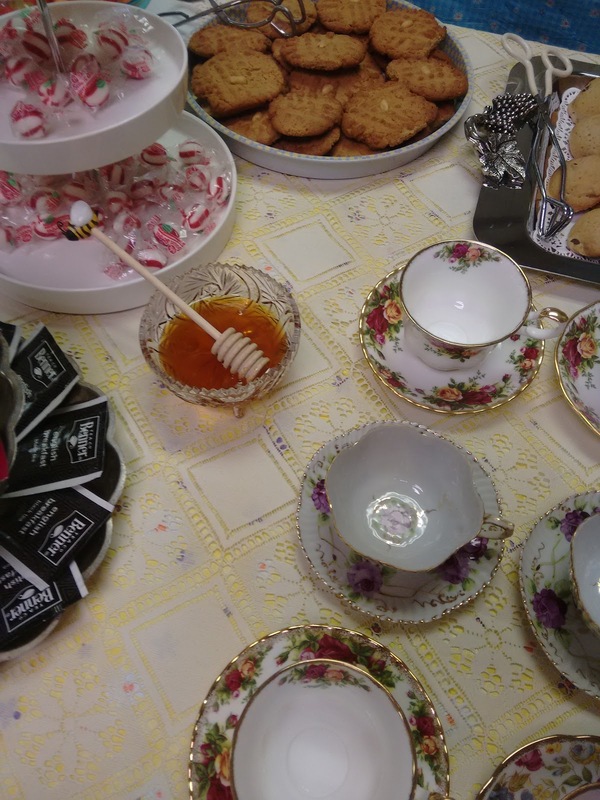 Oh, how they love a good tea party. Are you familiar with the Golden Rule? Love your neighbor as yourself. I am Adonai. The Golden Rule is the basis for the rules of etiquette, which was our focus for the event we held for our young men and women. We held twenty-minute sessions to share ideas about how the love our neighbor through good manners. The areas were communication in person, communication by telephone and internet, table manners, and health and hygiene. Each attendee was given a folder with relevant fill-in-the-blank note sheets, and handouts with reinforcing graphics. 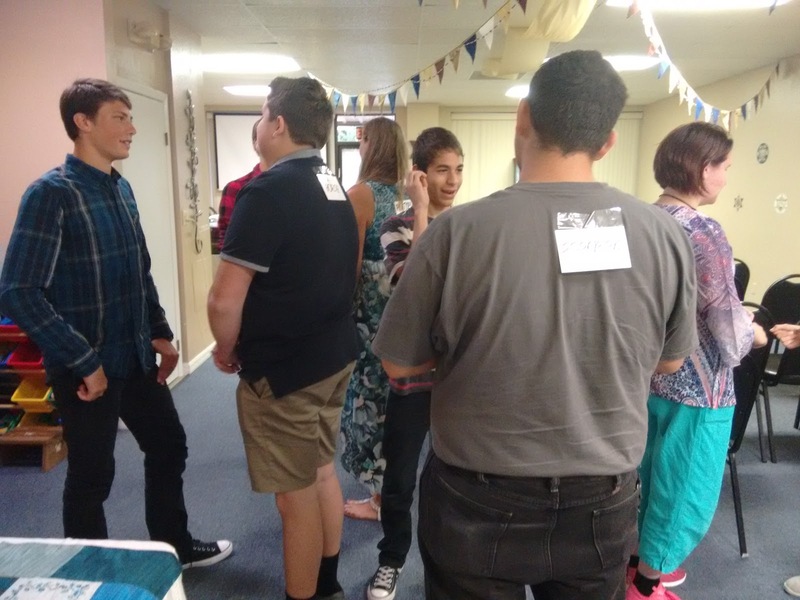 After each session, we played games to reinforce the lessons. We all had fun with those, as you can see. 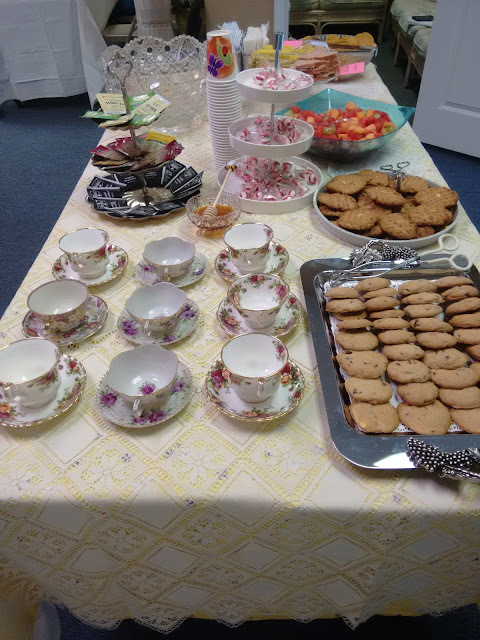 And, of course, we had food, which is why my teacups were so happy. 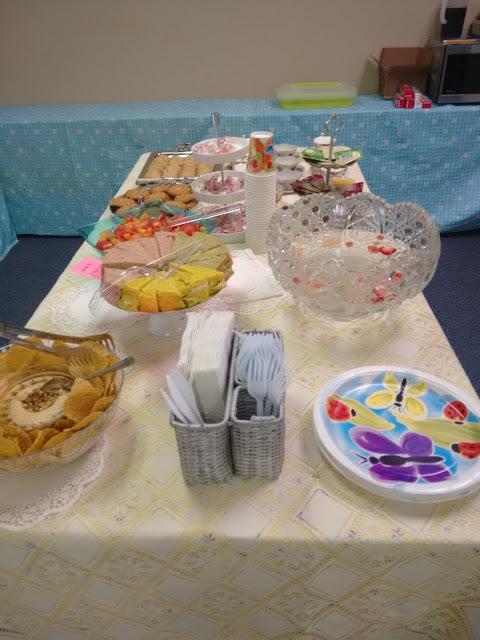 I had my heart set on having a tea party, so we did. It turned out just lovely, as you can see. Even the young men enjoyed it. To finish the event, Rabbi taught a boys-only session on being a mensch (a righteous gentleman), and I held a girls-only session about being a virtuous young woman. I gave them Jewish princess tips and also a princess tiara to remind them that they are a part of His royal family - ambassadors for Adonai. 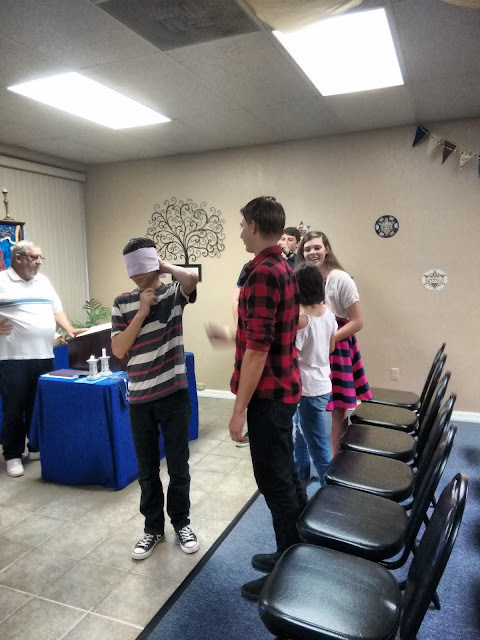 Everyone, including the teens, had an enjoyable time, and it was a fun, creative way to reinforce the importance of the Golden Rule. 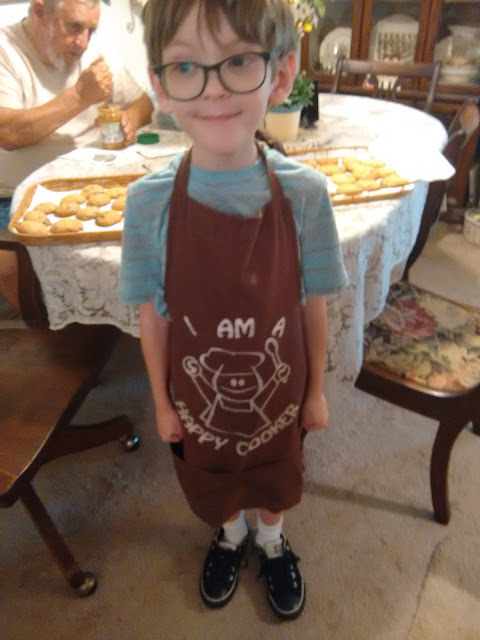 My grandson and I spent the evening before the party making cookies . . . from scratch, I'll have you know. Martha Stewart would be envious, right? Look at my little "Happy Cooker". He loves to cook, especially cookies! And, yes, of course, he took home a sizable bag for himself. In the background, you'll see Rabbi Jem is helping, too, by stirring the peanut butter. 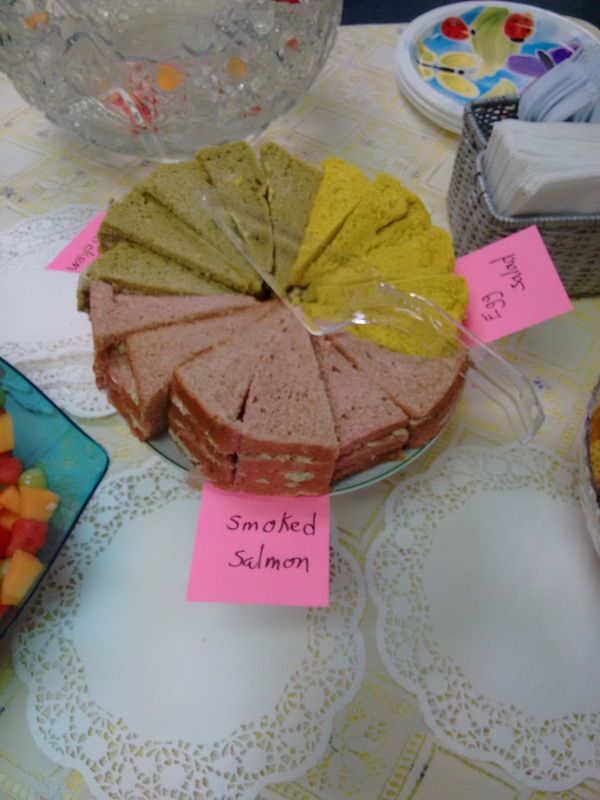 LaVonne made these wonderful tea sandwiches, cut and then formed into a cake - so creative! She also made and dyed the bread. Doesn't she make Martha Stewart look like a slouch? We're giving her a run for her money, I'm telling ya! 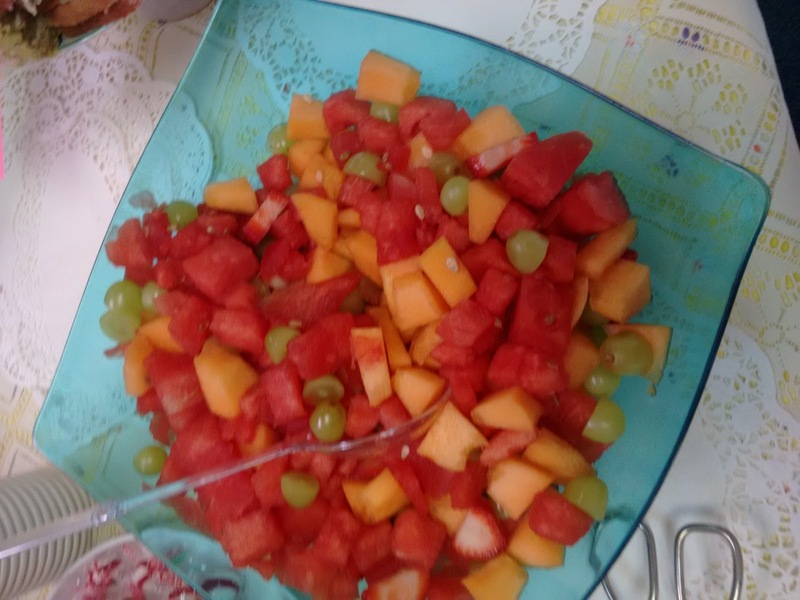 And Brenda made this luscious, colorful fruit salad. I have to tell you the funny story about the punch. I forgot to bring the pineapple sherbet, so we just poured in the 7-UP and floated some of Brenda's cut fruit on top. One of the young ladies said, "Is this water?" We laughed and said, "Give it a try, and see!" She liked it and used her good manners to compliment it. We had a wonderful day together, and my teacups, especially, were over-the-moon thrilled to attend. I'm thankful to Hashem for this idea, which had been bubbling in my brain for a long time, and for the sweet ladies who so graciously helped make it happen. I'm grateful for the help of Rabbi Jem and my grandson and, most of all, for the fine young men and women of our synagogue.